Prior to the establishment of the Consumer Product Safety Commission (CPSC), the federal government relied on a mixture of laws and agencies to protect consumers from faulty products. The Flammable Fabrics Act of 1953 was adopted to protect the public against the unreasonable risk of injury from fire. Three years later, Congress passed the Refrigerator Safety Act of 1956, which required manufacturers to design all refrigerators so they could be opened easily from the inside. The legislation was prompted by dozens of deaths resulting from children climbing into abandoned refrigerators and suffocating when the doors closed. The Poison Prevention Packaging Act of 1970 (pdf) required “special packaging” to protect children from injury or illness resulting from handling or ingesting dangerous household substances. No single agency was responsible for enforcing these laws. The Federal Trade Commission was in charge of the Flammable Fabrics Act. The Bureau of Product Safety took care of the Refrigerator Safety Act and the Federal Hazardous Substances Labeling Act. And the National Clearinghouse of Poison Control Centers enforced the Poison Prevention Packaging Act. In 1970 the National Commission on Product Safety was organized to study the state of goods sold in American markets from a safety standpoint. The commission’s final report included extensive surveys on product hazards, accident information systems, voluntary product standards, consumer education, the state of product safety law, the relationship between federal and state law, and product safety policy in other countries. The commission also recommended proposals for general product safety legislation. Congress agreed with the commission’s findings, and in 1972, lawmakers created the Consumer Product Safety Commission (CPSC). Sent to President George W. Bush’s desk with overwhelming congressional support, the Consumer Product Safety Improvement Act of 2008 was signed into law on August 14. The law established new requirements for the testing and manufacture of various products, and set limits for the amounts of certain substances that can be used in manufacturing. It also increased both the budget of the CPSC and the penalties for violations of the law. Some controversy has surrounded the law, with critics charging that business owners not responsible for products found to be in violation of the law could be forced to suffer harmful financial consequences, such as in the case of recalls. On March 11, 2011, the CPSC launched its database as mandated by the 2008 law. The site—SaferProducts.gov—is set up to provide safety and warning information on consumer products, and to receive consumer submissions on products found to be risky or harmful. The successful launch of the database overcame Republican Congressional attempts to defund it. During its initial years, the commission enjoyed support from lawmakers and the White House, maintaining a staff of 1,000 employees and an annual budget as high as $146 million. But over the last three decades, Republican administrations have sought to weaken the CPSC’s role by trimming its budget. By 2007, it was operating with only 400 workers and a budget of only $60 million. Since the enactment of the Consumer Product Safety Improvement Act, and the 2008 election of President Barack Obama—who as a U.S. Senator had been the sponsor of the Lead Free Toys Act of 2007—both the CPSC’s budget and workforce have seen a marked annual increase. The US Consumer Product Safety Commission (CPSC) is charged with protecting the public from unreasonable risks of serious injury or death from more than 15,000 types of consumer products sold in the United States. Deaths, injuries and property damage from consumer product incidents cost the nation more than $800 billion annually. The CPSC works to protect consumers from products that pose a fire, electrical, chemical or mechanical hazard or can injure children. Examples of products the commission examines include toys, cribs, power tools, cigarette lighters and household chemicals. The commission develops standards, some of which are mandatory for industry to meet. CPSC enforces these mandatory standards and in some cases bans consumer products if no feasible standard would adequately protect the public from harm. The commission can order recalls of products or arrange for their repair. Conducting research on potential product hazards is another responsibility of the commission, along with informing and educating consumers through the media, state and local governments, private organizations, and by responding to consumer inquiries. The CPSC is headed by five commissioners nominated by the President and confirmed by the Senate for staggered seven-year terms. If the commission has a vacancy, it cannot issue new rules or penalties against companies. The executive director of the CPSC directs and oversees commission policy and administration, which are implemented by the following offices: Compliance and Field Operations, Hazard Identification and Reduction, Financial Management, Planning, and Evaluation, Human Resources, Information and Public Affairs, Information Management and Technology, International Programs and Intergovernmental Affairs. 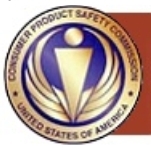 The CPSC also runs the National Injury Information Clearinghouse, which disseminates statistics and information relating to the prevention of death and injury associated with consumer products. Each year the clearinghouse responds to 6,000 requests for information from the public. Another part of the CPSC is the National Electronic Injury Surveillance System (NEISS), comprised of a sample of hospitals that are statistically representative of hospital emergency rooms nationwide. From the data collected, estimates are made of the numbers of injuries associated with consumer products and treated in hospital emergency departments. Data is collected on a broad range of injury-related issues, covering hundreds of product categories, and provides national estimates of the number and severity of product-related injuries. The Safety Review monthly newsletter is an e-newsletter offering an in-depth look at hazards associated with home and recreational products. The Consumer Product Safety Commission spent $99.9 million from 2007-2011 on private contractors. A total of 4,267 contractor transactions paid for goods and services provided to the commission, such as ADP software ($17.1 million), data collection services ($16.2 million) and telecommunications services ($10.1 million). A holdover from the Bush administration, commissioner Nancy Nord has been a constant thorn in the sides of Democrats and consumer advocates. She has been criticized for repeatedly fighting against increasing the budget of the CPSC and other reforms advocated by those on the left. In the fall of 2007, Congress was prepared to expand the powers and size of the commission following a rash of high-profile failures by the CPSC to protect the public from dangerous toys and other products. But Nord, then acting head of the commission, rejected plans by lawmakers to more than double the CPSC’s budget and expand its staff to help it better perform its job. Following the election of Barack Obama to the White House, Nord again fought against Congress’ attempt to increase the CPSC’s budget. In 2009, Democrats called for Nord to be kicked off the commission. House Speaker Nancy Pelosi publicly asked Nord to resign, saying the commissioner was “an employee of the Bush administration” and that toy and product safety was not a priority of hers. Nord refused to heed Pelosi’s call. Pelosi then asked President Obama to demand that she leave. Obama remained neutral and Nord remained on the commission. A few months later in 2009, Sen. Bill Nelson (D-Florida) also called on Obama to fire Nord. And again, Obama left her alone. Nord seems intent on serving out her full term, which expires in October 2012. Despite changes in federal law intended to eliminate harmful toys, many consumer products marketed to children contain dangerous elements. According to consumer advocate U.S. PIRG (Public Interest Research Groups), more than 400 children died from toy-related injuries from 1990 to 2010. The organization found toys that pose choking hazards and others containing hazardous levels of toxic chemicals. Products manufactured after August 2011 are allowed to have only 100 parts-per-million (ppm) of lead. One example found by U.S. PIRG was the children's book Little Hands of Love, which contained 720 ppm. Another source of trouble for children are toys made with phthalates, compounds added to plastics to make them more flexible and durable. Phthalates have been linked to birth defects, premature delivery, early onset of puberty, and low sperm counts. In 2008, the Consumer Product Safety Improvement Act banned products with phthalate levels greater than 1,000 ppm. Still, many items on the market far exceed this standard. A “BFF” sleep mask for little girls was found to have 77,000 ppm phthalates. From Not Doing Enough to Doing Too Much? For nearly a decade during the Bush administration, the CPSC was routinely criticized for not carrying out its mandate to protect consumers. Since the election of President Barack Obama, the commission has made some strides. But even some consumer advocates say there is the risk of the CPSC becoming too active, although they’re not ready to say that’s the problem yet. During the administration of President George W. Bush, the commission deteriorated to a bare-bones operation that was ineffective when it came to protecting the public. While thousands of toys were sold each year, the CPSC had only one employee testing suspected defective toys. Safety initiatives were stalled or dropped after dozens of jobs were eliminated in budget cutbacks. Some workers quit in frustration. The head of the poison prevention unit, for example, resigned when efforts to require inexpensive child-resistant caps on hair care products that had burned toddlers were delayed so that industry costs could be weighed against the potential benefit to children. Under President Obama, the commission launched SaferProducts.gov, a new government database that stores consumer complaints of harm related to the use of products. The website also provides a separate form for businesses to enter reports of product hazards. As for product recalls, one advocate recently acknowledged that while the commission needs to be vigilant in ordering unsafe goods off the market, it needs to be aware that too many recalls could be bad for consumers. A native of Sioux Falls, SD, Nancy A. Nord has served as an acting commissioner of the Consumer Product Safety Commission since May 2005. Her term expires in October 2012. Nord holds a bachelor’s degree from the University of Nebraska and a law degree from the George Washington University in Washington D.C.
She has held a number of legal positions both in the federal government and in the private sector. Her federal experience includes service as general counsel of the White House Council on Environmental Quality, counsel to the Commerce Committee of the House of Representatives and attorney at the Federal Communications Commission. 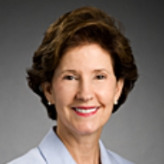 In the private sector, she was the director of federal affairs for the Eastman Kodak Company, practiced law with the Washington D.C., law firm of Verner, Liipfert, Bernhard, McPherson and Hand, served as the executive director of the American Corporate Counsel Association and was director of consumer affairs for the U.S. Chamber of Commerce. It was also reported that Nord (and her predecessor, Hal Stratton) had taken numerous overseas trips at the expense of companies that the commission regulates. Nord has refused to heed demands by Democratic lawmakers that she resign her post. Bead toy previously taken off the market because the beads contained glue is back under a new name, Beados. Works the same way. how do i place a warning- complaint about a new maytag gas/electric range that had a short circuit in its electric controls? sparks came out as well as smoke, fortunately we turned off the gas immediately, otherwise we would have blown away in an explosion. TO THE DIRECTORS OF SAFETY .i am an inventor the inventor of the NIGHT GLO SAFETY TIRES .U S PATENT .can you help me . After a year's investigation--my safety issue was dismissed as NOT being a problem. However, there is now pending a class action suit on the same issue. On March 31, 2014, President Barack Obama nominated Elliot F. Kaye to be chairman of the Consumer Product Safety Commission (CPSC). Kaye will be one of five members on the CPSC, which he served as a staffer for many years. Kaye, who’s from New York, graduated from Northwestern University in 1991 with a B.S. in journalism. His future was in public service however and in 1993 he came to Washington as an unpaid intern on Capitol Hill. He worked in the offices of Rep. Earl Hutto (D-Florida), as communications director and chief of staff for Rep. Pat Danner (D-Missouri) and as chief of staff to Rep. John Tierney (D-Massachusetts) until 2001. Kaye then left Washington to attend law school at New York University. He received his J.D. in 2004, and from 2005 to 2006 clerked for U.S. Circuit Court Judge Sterling Johnson in the Eastern District of New York. In 2006, while working for the firm of Cooley Godward Kronish in New York, Kaye took the case of Salifou Yankene, a former Ivory Coast child soldier who had requested asylum upon landing in New York. Kaye was able win asylum for Yankene. In 2007, Kaye joined the firm of Hogan Lovells, where he was an associate until 2010. Kaye moved to the CPSC as senior counsel in 2010 and in 2012 was named deputy chief of staff along with his duties as senior counsel. In 2013, Kaye was named chief of staff and chief counsel to CPSC chairwoman Inez Tenenbaum. Since Tenenbaum left in late 2013, Kaye has been the commission’s executive director. While at CPSC, Kaye has done extensive work to minimize brain and head injuries resulting from youth football. Another project of Kaye’s was warning about the risks of coin, or button, batteries. These batteries are often swallowed by children, resulting in severe chemical burns. Kaye’s wife, Kanae, is the country officer for Haiti at the World Bank. They have two sons, Noah and Ethan. One of Barack Obama’s most important victories during his run for the Democratic nomination in 2008 came in South Carolina, where he easily defeated rival Hillary Clinton. Of the many local officials who backed Obama over Clinton, Inez Moore Tenenbaum was the first major state Democrat to endorse his campaign and help him secure the South Carolina primary. This connection, more than anything else, explains why Tenenbaum—a former state school superintendent with no real background in consumer protection—was chosen to take over the Consumer Product Safety Commission (CPSC). She was confirmed by the Senate as the Chair of the CPSC on June 19, 2009. Born March 8, 1951, in Hawkinsville, Georgia, Tenenbaum attended the University of Georgia, where she received her Bachelor of Science in 1972 and a master’s degree in education two years later. Following college, Tenenbaum worked as an elementary school teacher before joining the South Carolina Department of Social Services, where she licensed Head Start facilities and federally funded child care centers. She later went to work for the state legislature, as the director of research for the Medical, Military, Public and Municipal Affairs Committee of the South Carolina House of Representatives. She married Samuel J. Tenenbaum in 1984, and went back to school to study law at the University of South Carolina, where she served as associate editor-in-chief of the South Carolina Law Review. She received her law degree in 1986, and then joined the private law firm, Sinkler & Boyd. Working at the firm until 1992, Tenenbaum handled cases in the areas of health, environment, and public interest law. She established the South Carolina Center for Family Policy, a nonprofit organization that aims to reform the state’s juvenile justice system, in 1992. Tennenbaum’s first run for statewide office came in 1994, when she failed to earn the Democratic nomination for lieutenant governor. But she continued to build her political connections, and four years later, she was elected State Superintendent of Education. She was re-elected in 2002 and held the post until stepping down in early 2007. Some observers have called her record as state superintendent of education “exemplary.” During her time as South Carolina’s schools chief, test scores rose beyond national averages, full-day kindergarten became a reality, and the state was praised for improving student testing and teacher quality. She also won praise from both teachers unions and education reformers. Her tenure was not without controversy, however. In 2005, following parental complaints, Tenenbaum decided to remove the book, Whale Talk, from the South Carolina Education Department’s English reading list for sophomores. The book had been selected by the American Library Association as a Top 10 Best Book for Young Adults, but Tenenbaum justified her move by claiming the book had too much profanity in it. She also appeared on national television defending South Carolina’s low SAT scores as part of a 20/20 Special Edition program about public schools in the United States and around the world. During her second term as schools chief, Tenenbaum ran for the U.S. Senate as the Democrats’ choice to replace the retiring Senator Fritz Hollings (D-SC). Few in Washington gave her much of a chance to beat Republican Jim DeMint, but as it turned out, she ran a competitive race that took advantage of several missteps by DeMint. Although she lost the race, her name continued to be mentioned among Democrats for other big-ticket offices. She was often named as a potential Democratic candidate for governor of South Carolina in 2006, but she chose not to run. Arguably, her biggest, and riskiest, political decision came in 2007 when she endorsed Obama in the Democratic battle for president—at a time when few gave the Illinois senator much chance of knocking off Clinton. When Obama won the South Carolina primary and climbed down off the stage in Columbia, the first person he embraced (after his wife, Michelle) was Tenenbaum.